Whether you're the bride-to-be or attending as a guest, their are certain rules and dress codes to follow at a bridal shower. A bridal shower is a special party to celebrate the bride prior to the wedding day. Friends and family of the bride-to-be traditionally bring home goods as presents for the newlyweds household. It's a good time to share stories, play games, eat great food, and pay special attention to the bride. For the bride, you should wear a white or off-white cocktail dress as a casual nod to your wedding dress. It’s important to keep it classy and cool. A fun way to accessorize this neutral outfit is with a statement necklace or colored heels! Remember: it’s your day and you deserve to stand out in the most sophisticated way possible. As a guest, you should be aware of the attire restrictions when attending a shower. Since the bride is the center of attention, try to stick to soft or pastel colors. Never wear white, black, or red! Keep in fun and light, but it’s important to stick to the season. 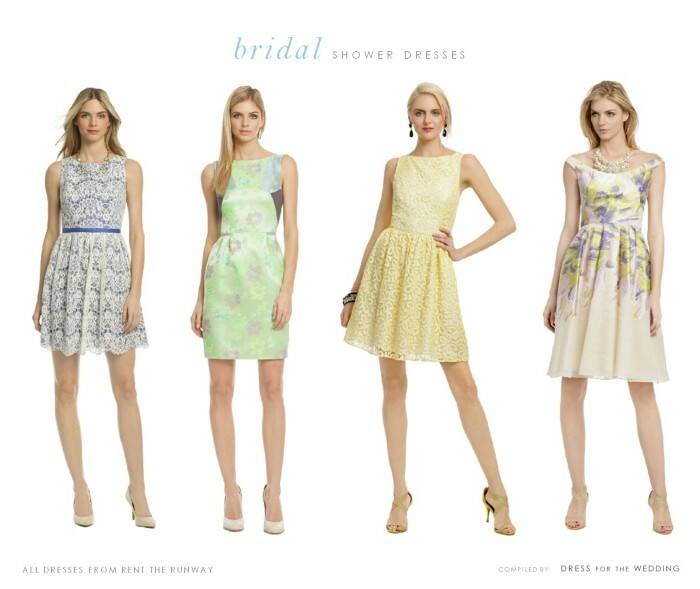 You wouldn’t want to show up to a January bridal shower with a sundress and sandals!